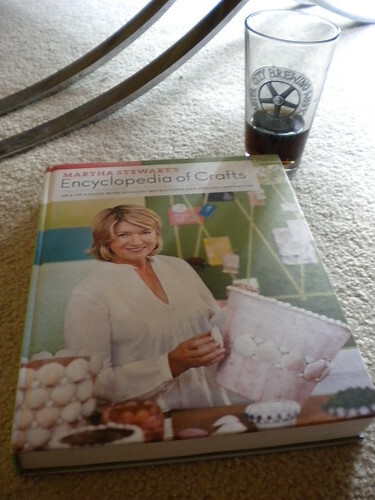 The other weekend I sat down and had a date with Martha Stewart’s Encyclopedia of Crafts. I’ll definitely be returning this book’s calls. “Crafts” is the type of book you save for a lazy Sunday when you can spend hours pouring over it. It’s a fantastic gift for those who love crafting, think they can’t craft or simply as a great source of inspiration. Packed with tons of big photos, the how-to steps are very easy to follow. The “ABC” project listing approach is great; from basic projects and ideas to more complex projects, the book is definitely easy to navigate. The book is packed with great gift ideas and is perfect for showing off your creativity and saving money, too, this holiday season. 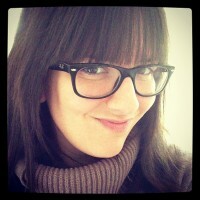 PROJECTS: There are all sorts of fresh takes on tried true projects. I loved the memory binder idea as an alternative scrapbooking. Acorn crafts! Yes! Birds! Yes! Lots of techniques are explained and applied to the projects, making them very easy to understand, such as gilding, glittering, marbleizing, mosaics and paper folding. Try decorating with glitter on double-sided tape- never thought of it! Do you know how to tie knots for crafts? Nope, neither did I.
It’s great to see very detailed directions on how to work with materials I’ve had a tough time with in the past, such as crepe paper. And there’s a great “XYZ” section on tools, favorite materials and shoutouts to the classics (lots of Mod Podge love). You learn how to use those tools, too. You’d be surprised at how many don’t know how to correctly use a bone folder! Overall, “Crafts” is a fantastic treasury of inspiration and know-how you’ll have in your craft library for years. One comment about acorn crafts: watch out for grubs and other bugs. I thought I picked clean ones, but had many develop in the bag in the few days I had them home. I loved this book, I checked it out from the library and now..I want to go buy it to have for my very own..it really did have some great tips and wonderful idea’s and the templates are great..plus the pictures alone were so fun to look at. I’m not usually a big Martha Stewart fan..sorry..but..this book I really, really enjoyed!